Happy Thursday! 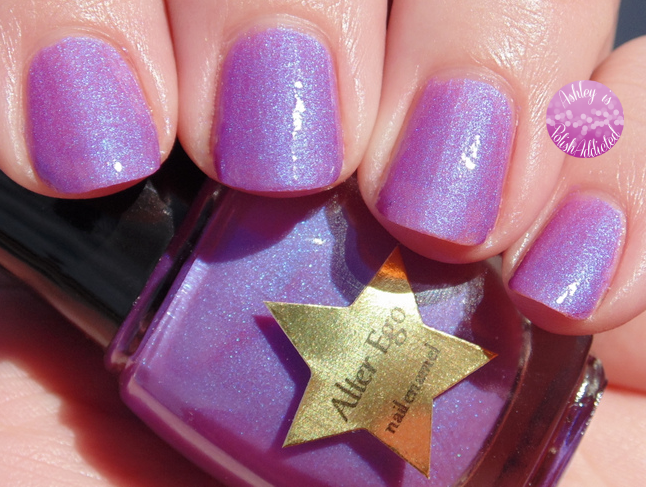 I have some pretty new Alter Ego polishes to show you today, as well as an exciting new product from them! I am late showing you this collection so you may have already seen the new product, but I am excited to tell you my thoughts on it. 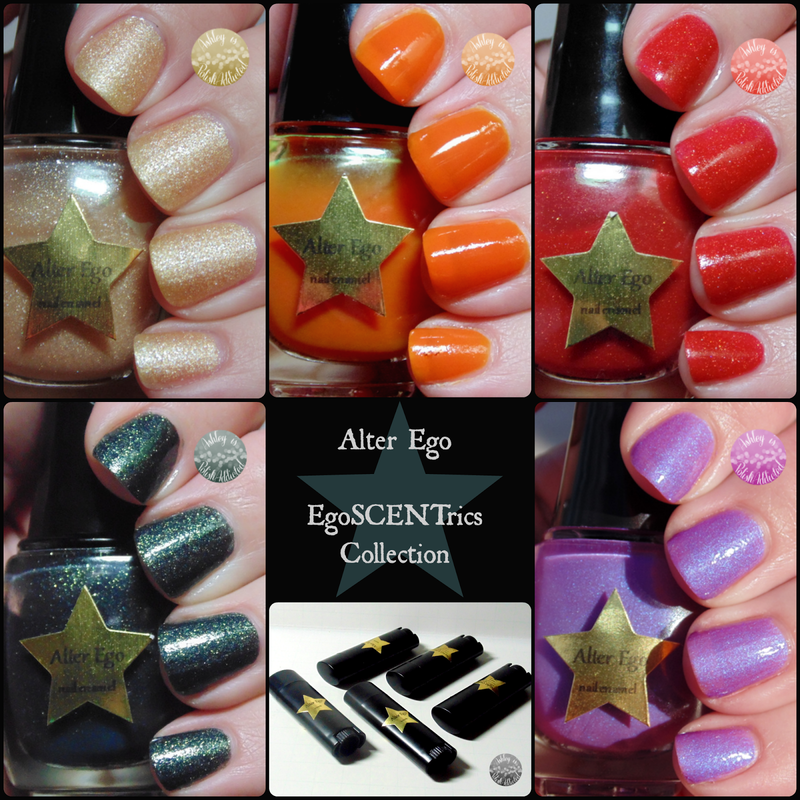 As you can see in the collage I have 5 beautiful polishes to show you today, but first I am going to tell you about Alter Ego's new product - EgoSCENTrics! 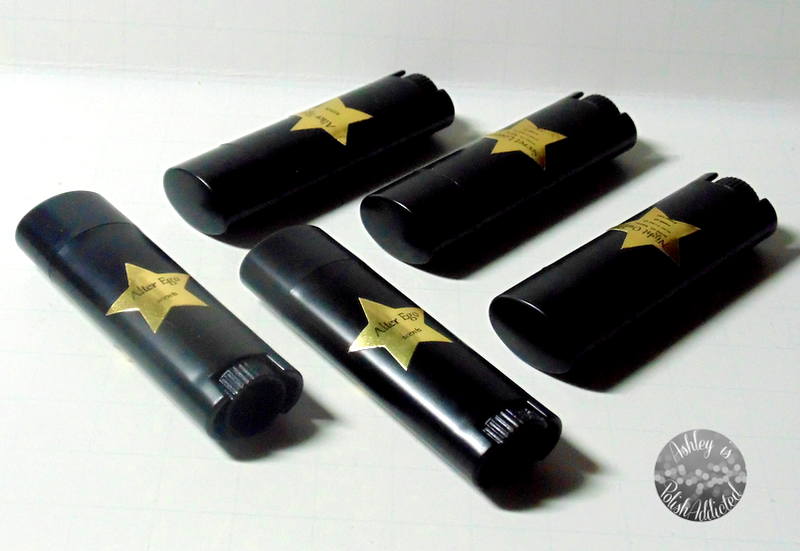 EgoSCENTrics are moisturizing perfume sticks that I have been using as cuticle balm. I am really loving these - they are so moisturizing and it is so easy to apply. You apply it as you would lip palm and it is moisturizing without being greasy. They are scented, but they are not overpowering. My personal favorite is Tangy. I have a very sensitive nose and most scents give me bad headaches and/or nausea and Tangy doesn't bother me at all. You can also choose unscented if you prefer. There is also an unscented version available! Now for the polishes! I did have to thin a couple of them (see descriptions for formula notes). 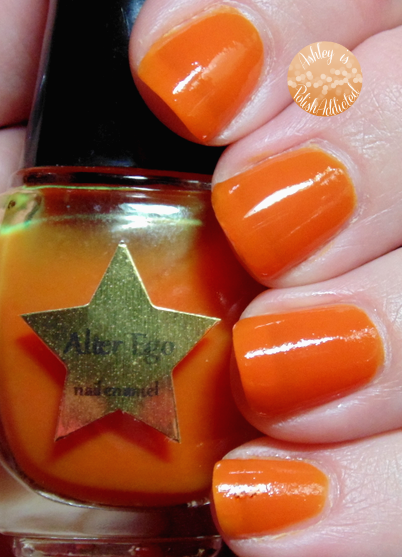 If you are unfamiliar with Alter Ego's formulation, her base is different than most indie bases and it is best to thin it (a little at a time!) with alcohol rather than regular nail polish thinner. It works perfectly! 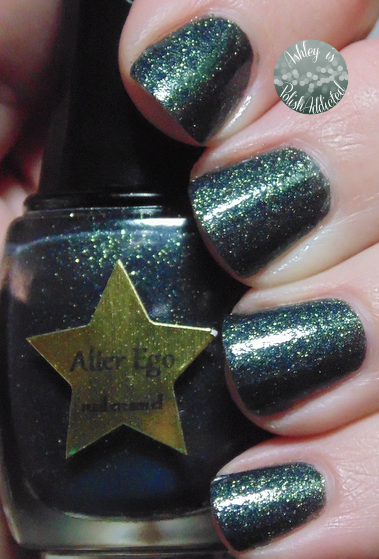 Also, remember that all of her polishes dry with a matte finish so I will be showing them either matte or using Alter Ego's She Shines Top Coat (in polish descriptions as well). I got outside photos of the ones I was able to, please see captions for lighting source. Bubbly is a gorgeous champagne colored polish packed with flakie shimmer! I like this one more than I expected to! I love it matte the most, and that is how I will wear it. I am showing 3 coats alone, but I think one coat would look really pretty layered over another color. I am showing it with top coat in the first photo, without top coat in all other photos. No problems at all with the formula, I used 3 coats here. First Love is a gorgeous warm-toned lilac (almost an orchid shade) with a strong blue shimmer. This one was a bit thick so I did thin it with a little alcohol. I mentioned it to the maker and she said she would thin the batch before sending out any purchased bottles. After it was thinned I did not have any issues with application at all. I am showing 2 coats with top coat. Night Owl is one of my favorites from this collection. 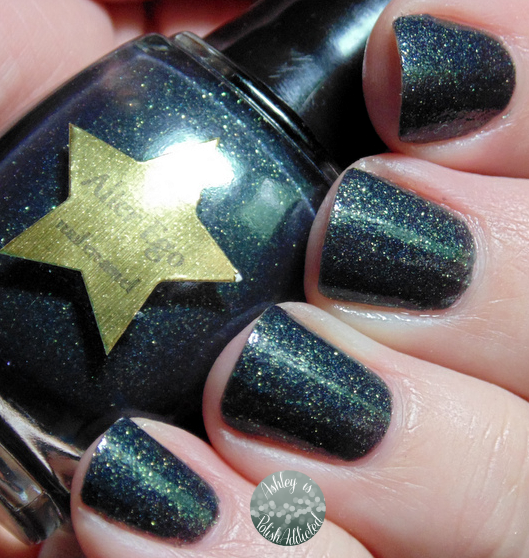 It is a gorgeous deep cool green packed with gold flakies. This was the other one I had to thin, but again I mentioned it to the maker and she said she would adjust the batch. The depth of this color is unbelieveable, definitely one that needs to be seen to be appreciated! I am showing 2 coats with one coat of top coat. This one was a tad on the topcoat hungry side so you might want to add a second coat of top coat. Secret Lover is my favorite from this collection! It is a gorgeous coral-red and you know I'm a sucker for reds and corals. 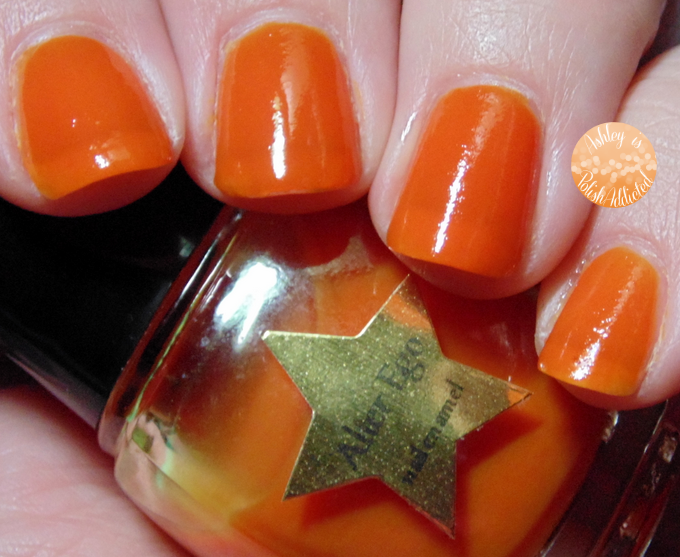 It is a juicy jelly finish with gorgeous shimmer. No problems with application at all. This one is also a little topcoat hungry so I am showing two coats of top coat on my ring finger so you can see the different. One coat of top coat on all other fingers. Three coats of polish in the photos. Tangy is a juicy orange that will be perfect for jelly sandwiches! I used 4 coats in these photos with one coat of top coat. No problems with formula or application. What do you think of this collection? I love the variety! 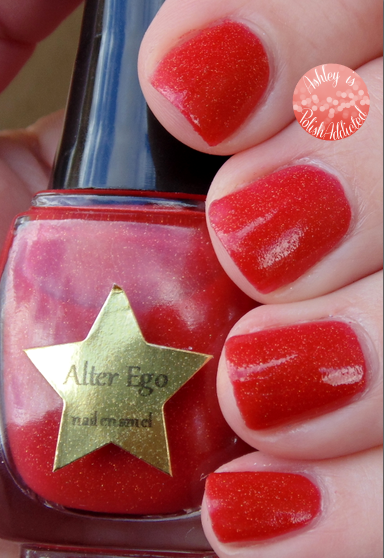 I am also pretty excited about EgoSCENTrics - they are so moisturizing and really work well for my cuticles. Thank you so very much for your thorough and detailed review! You know how much I appreciate that people are fully aware of the variances of my Egos, it is wonderful to see so much attention given to each <3 I am eternally grateful! First Love looks amazing! Great review. These all look great. First Love is especially gorgeous!! First Love and Bubbly are my favorites! Great review!